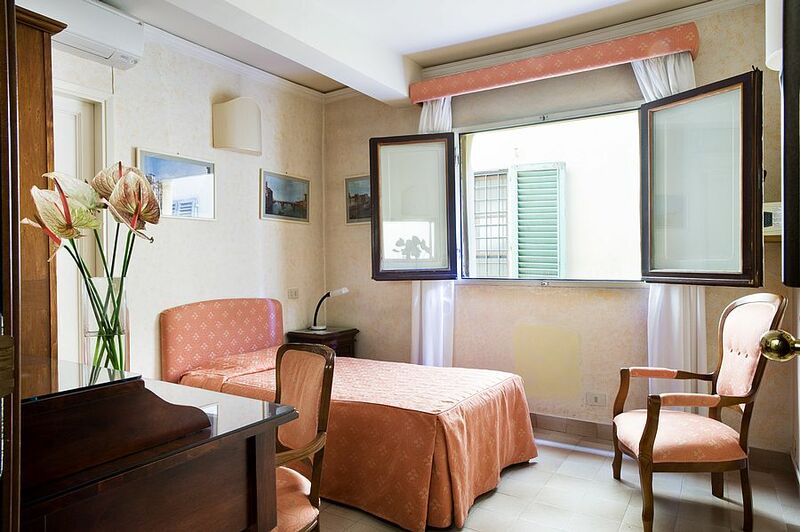 Hotel Alessandra is proud to offer guests NON-SMOKING rooms, direct-phone access, a Safe-box, Wifi access, central heating, air-conditioning, CNN enabled TV’s and hair dryers. 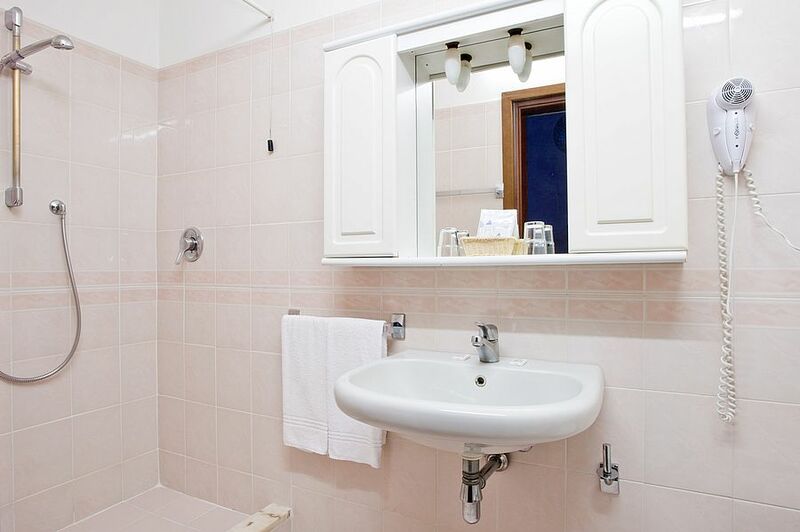 One single room with private bathroom – shower included. 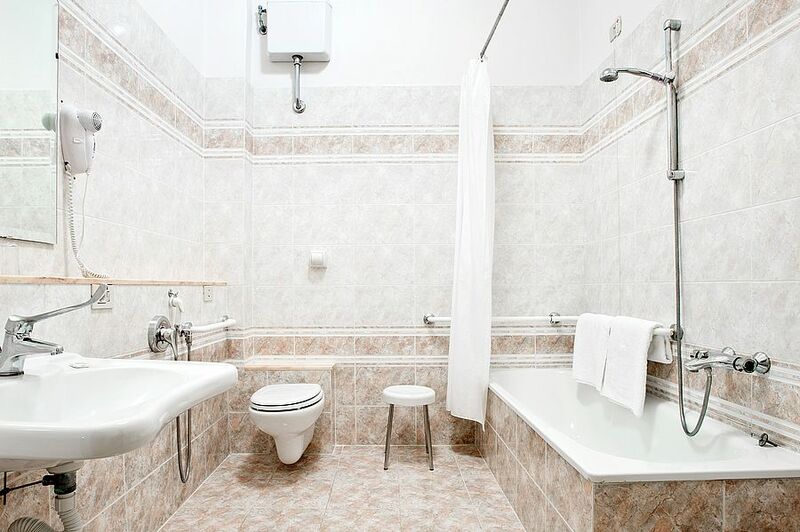 One single room with private bathroom – bathtub included. 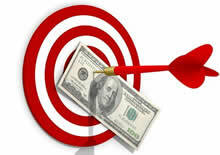 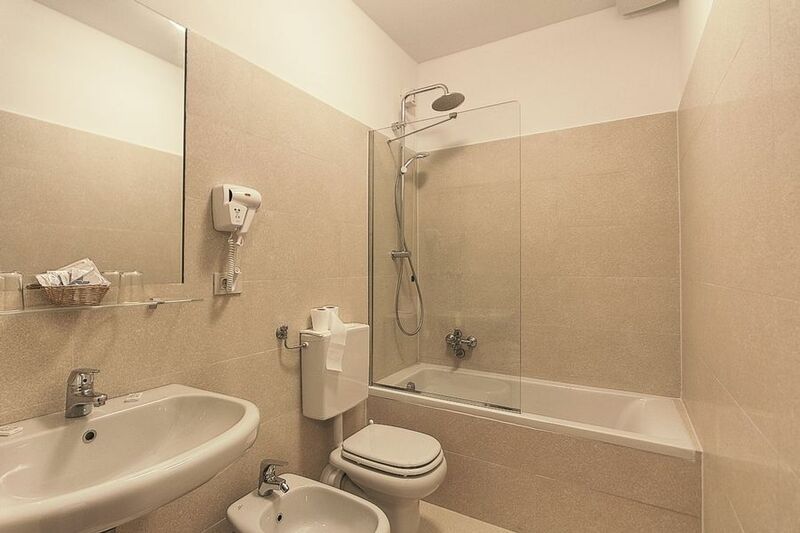 One single room with nearby exclusive use private bathroom with bathtub. 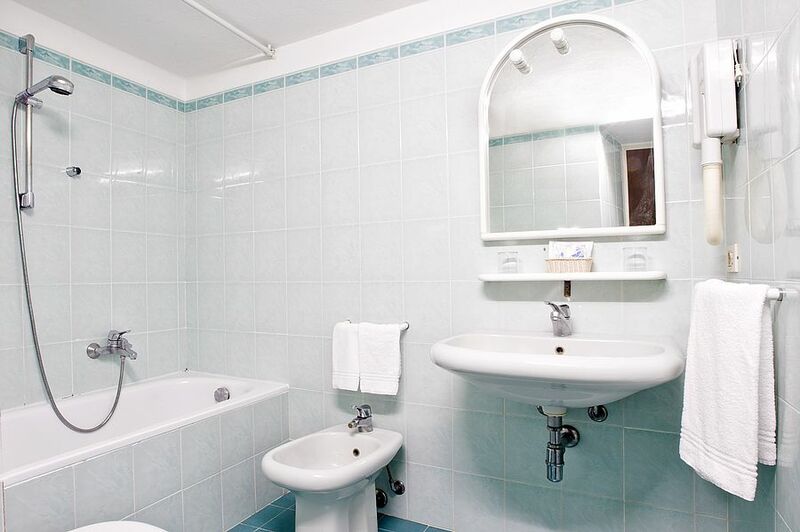 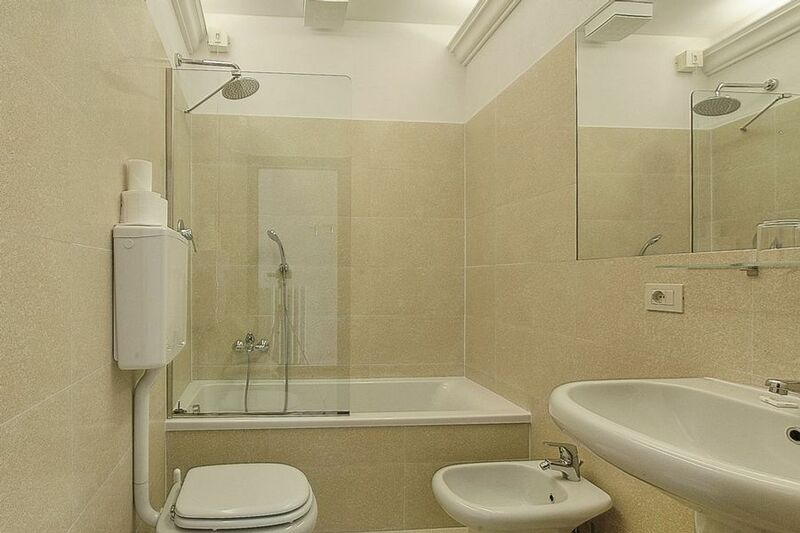 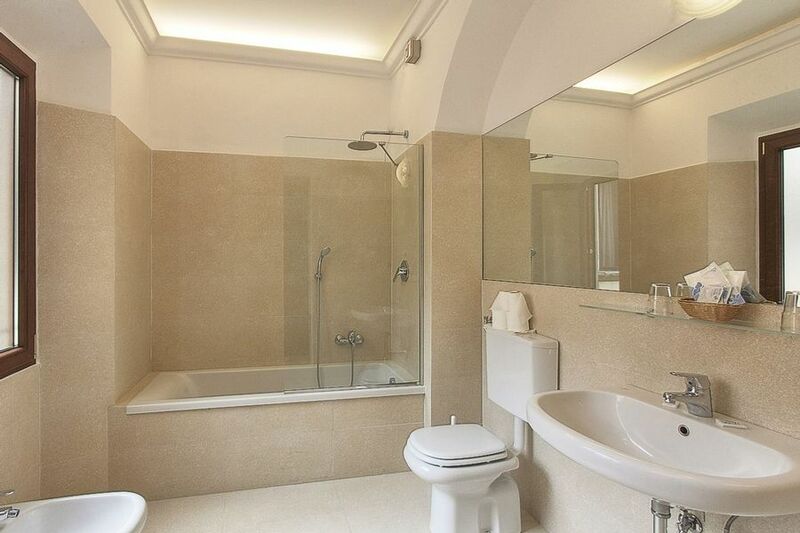 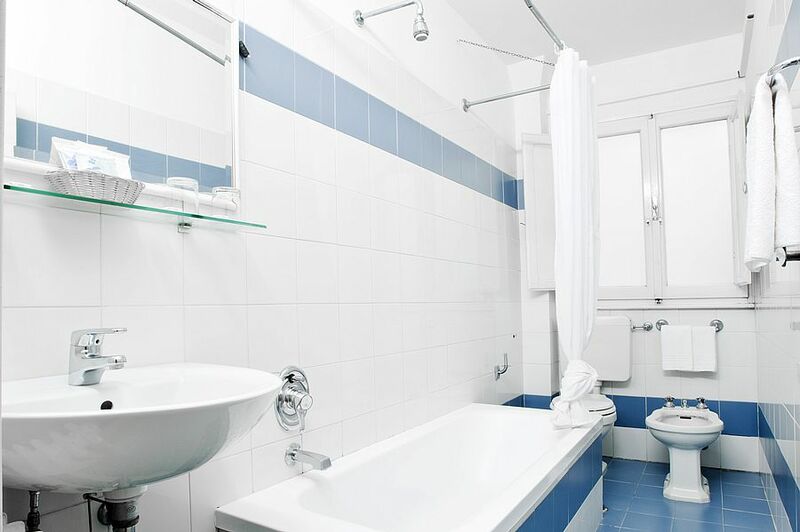 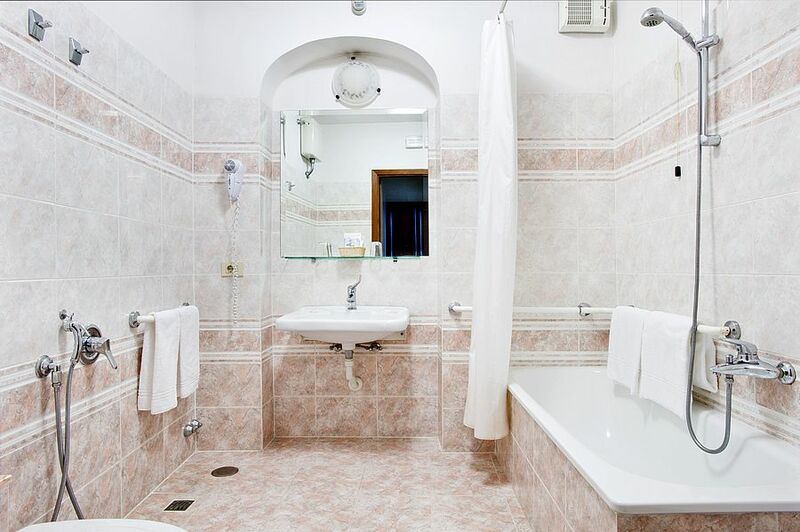 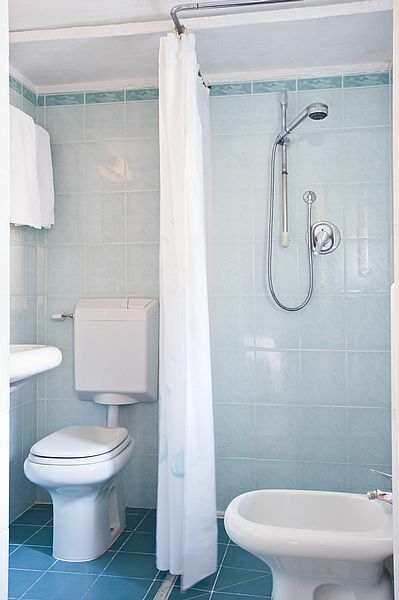 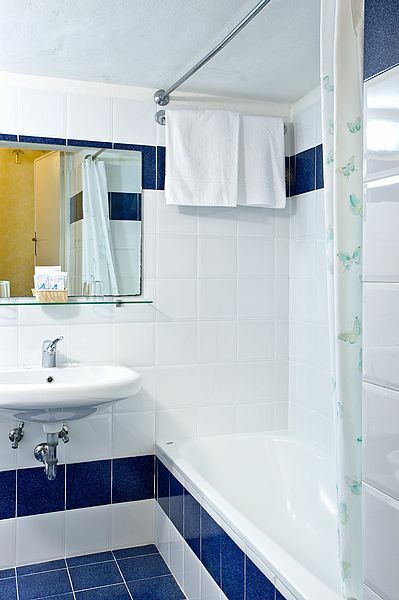 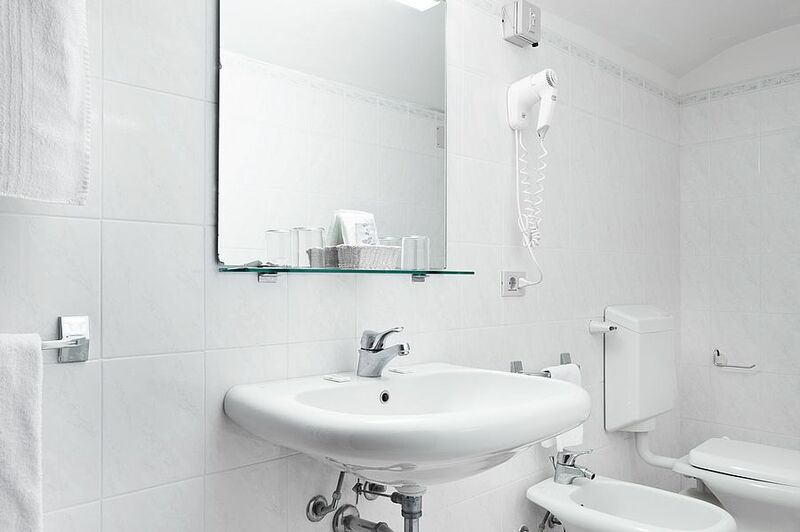 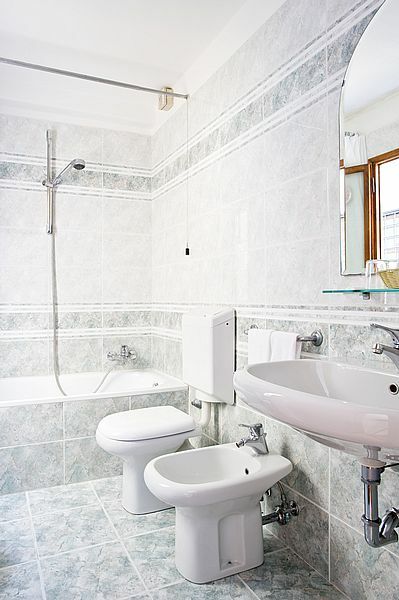 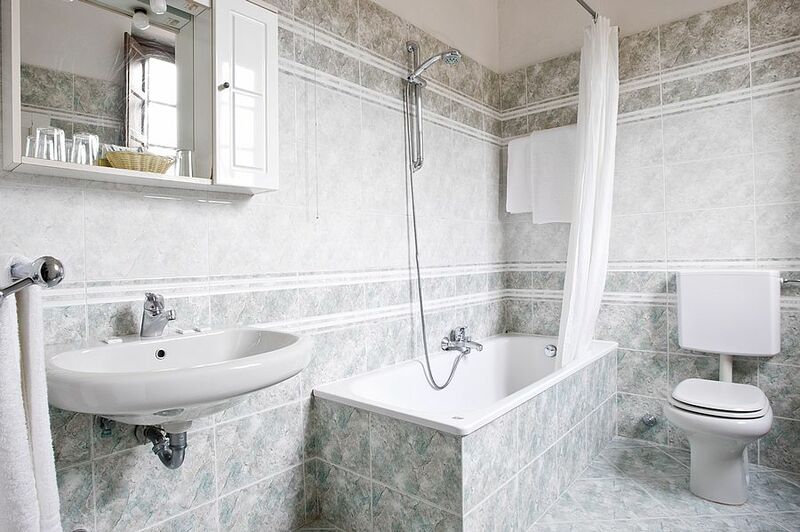 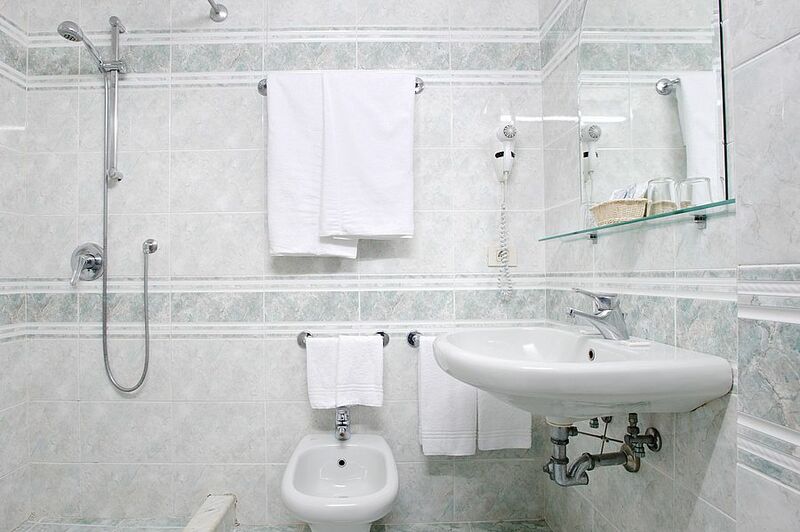 Hotel Alessandra offers all rooms with a private bathroom. 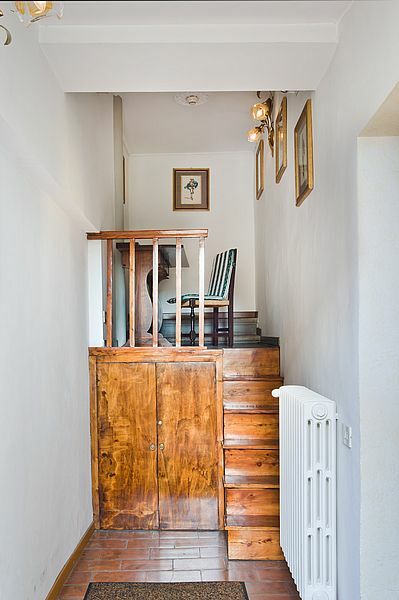 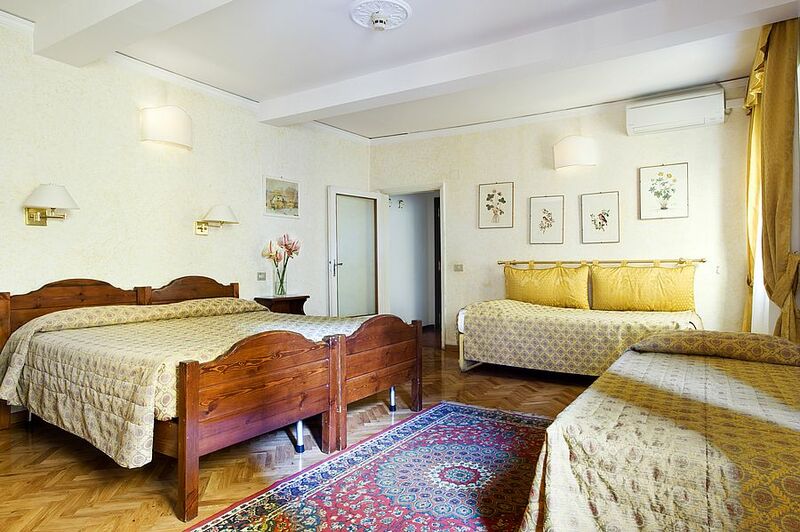 Choose from Triple and Quadruple rooms. 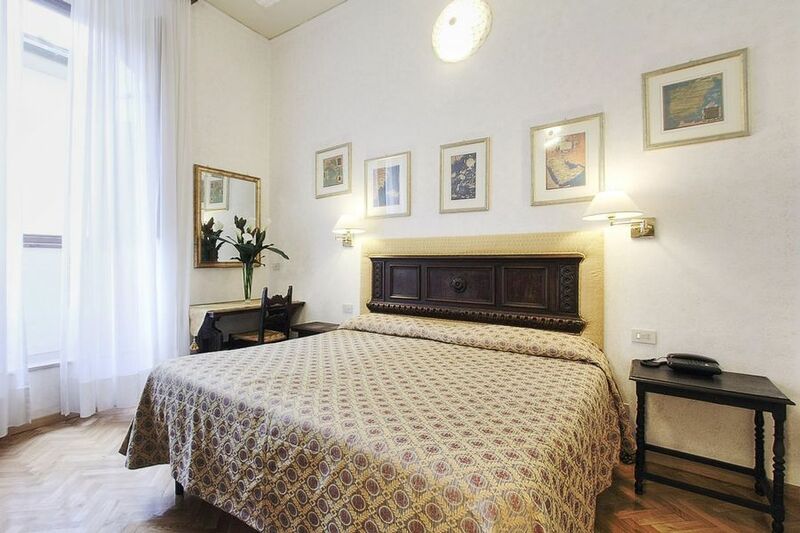 One double bed and one single bed, however, you may request three single beds. 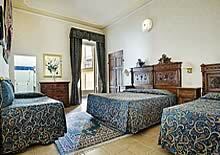 One double bed and two single beds, however, you may request three /four single beds. 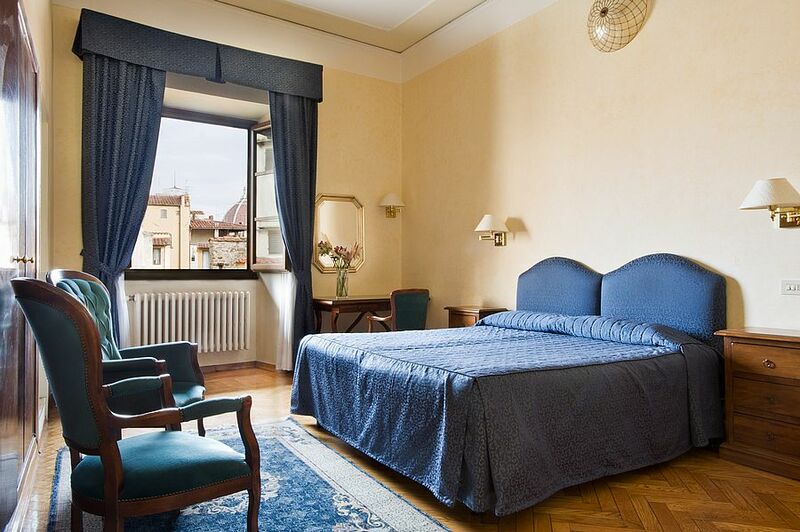 Choose from our "Junior Suite", "Superior With A View" or "Suite Baccio"
A spacious double room offering a lovely view and can accommodate up to 3 guests. 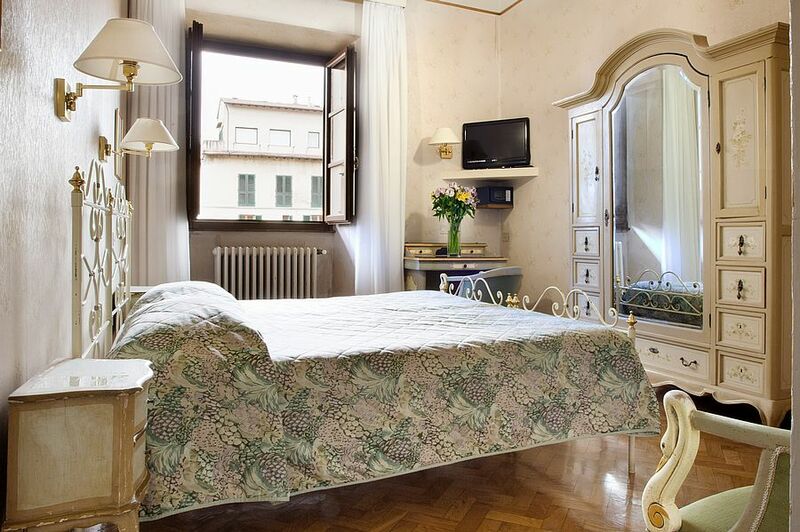 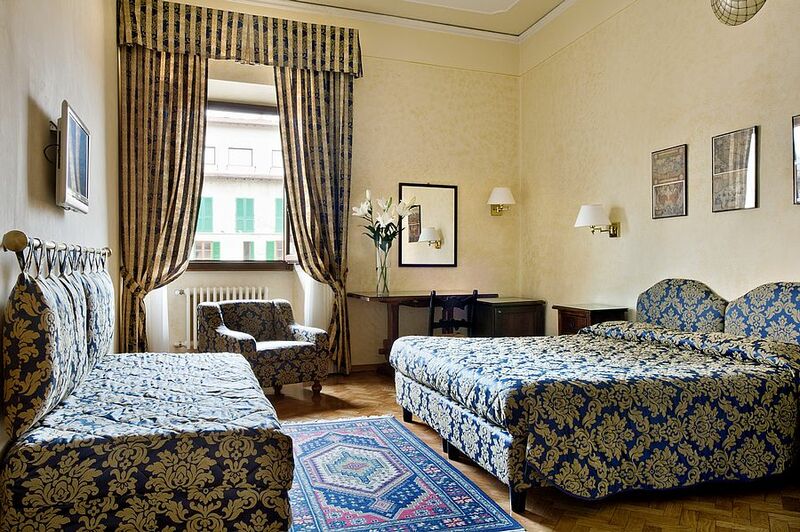 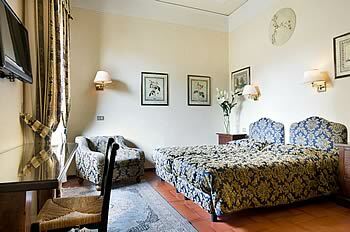 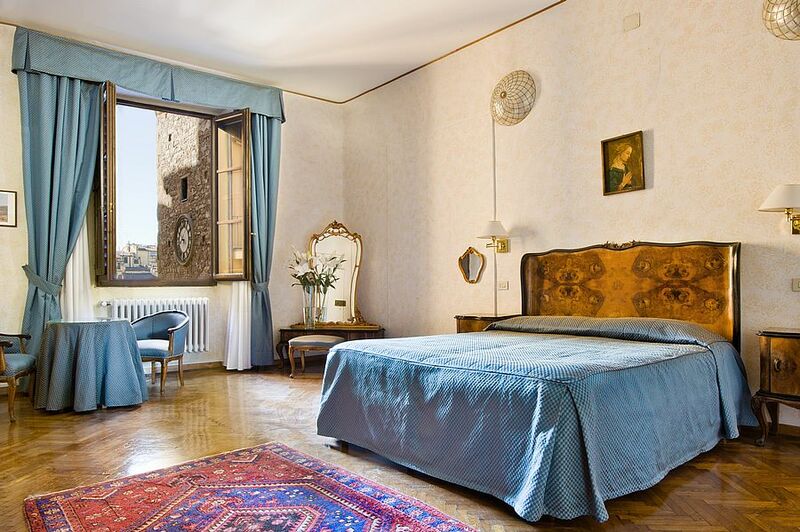 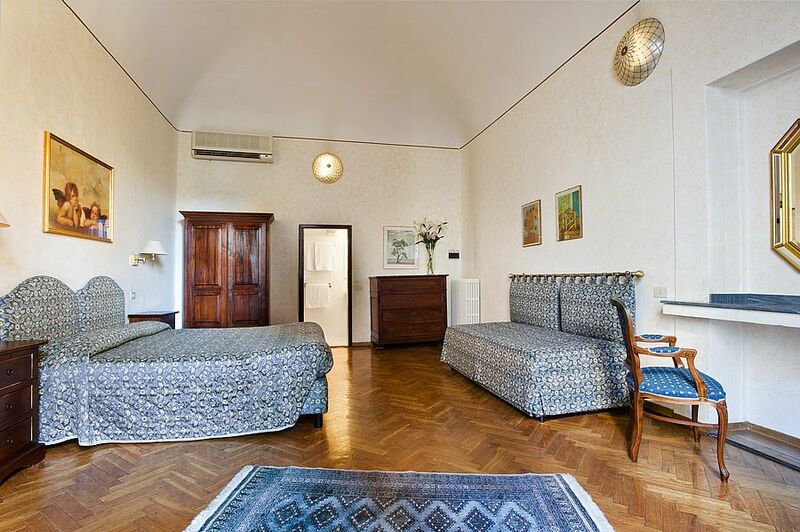 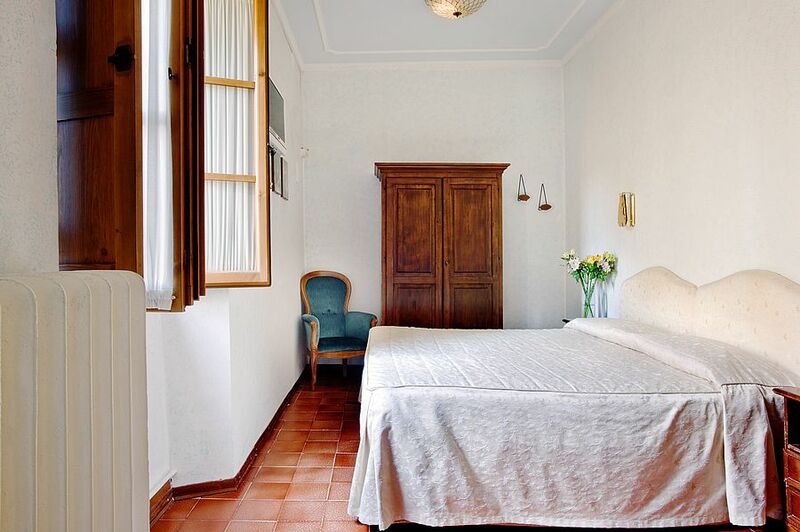 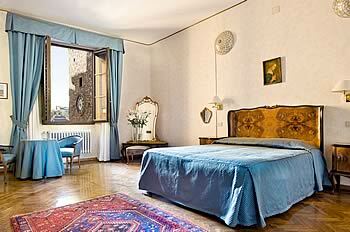 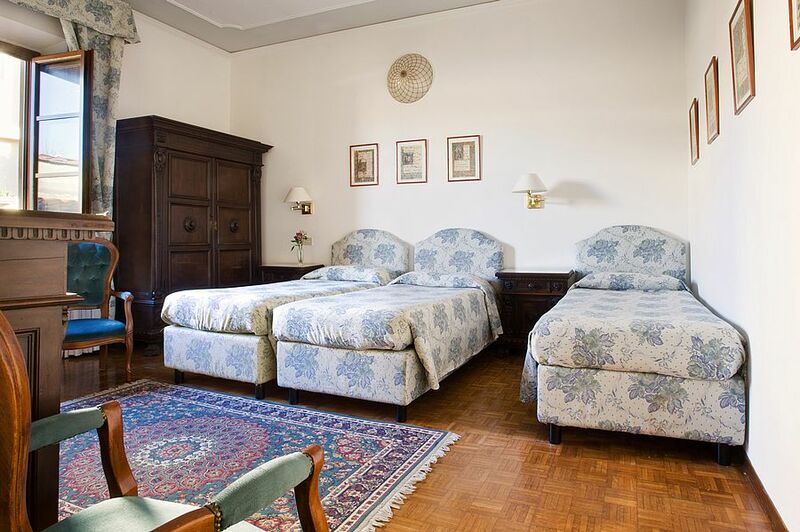 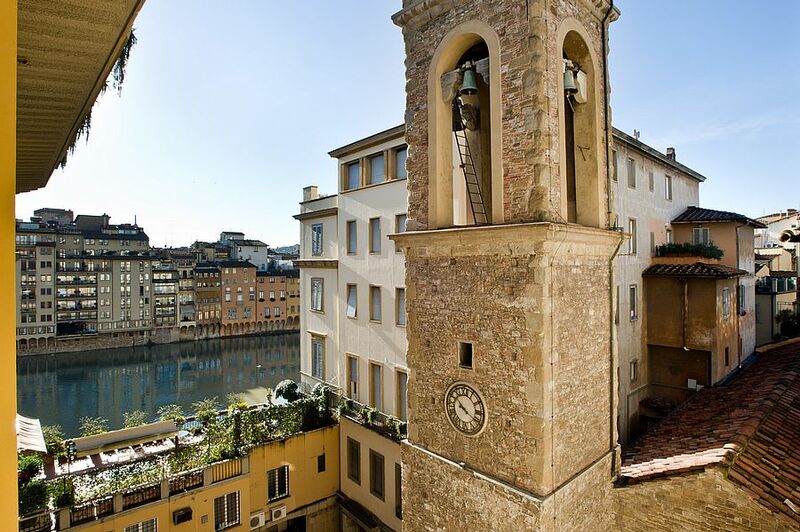 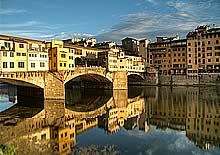 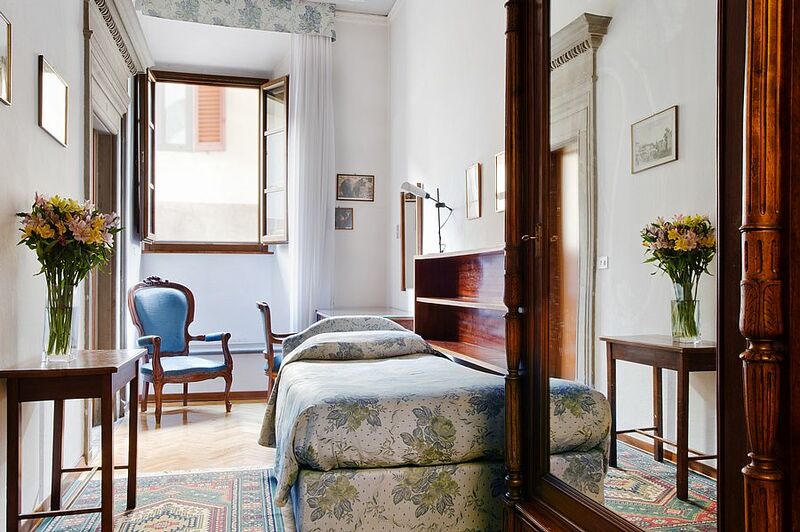 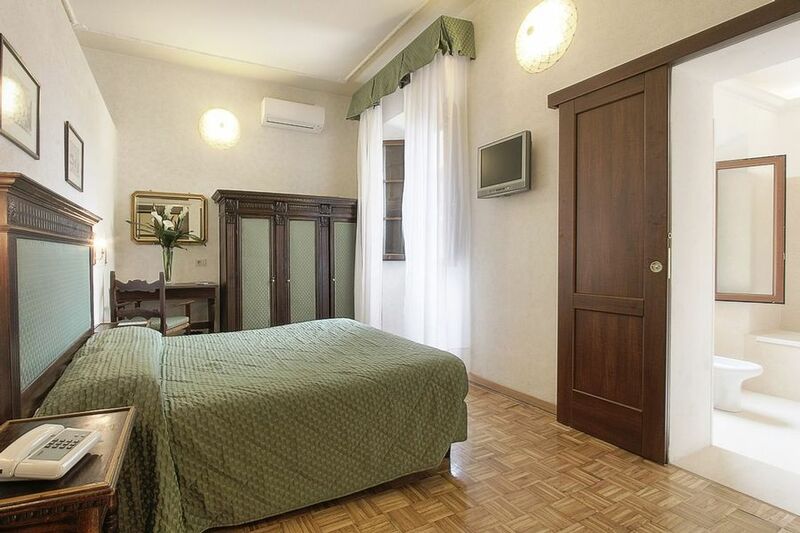 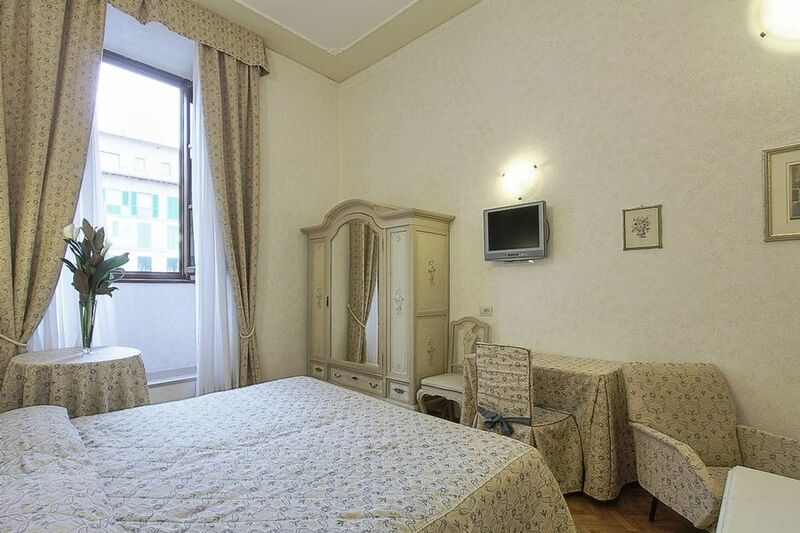 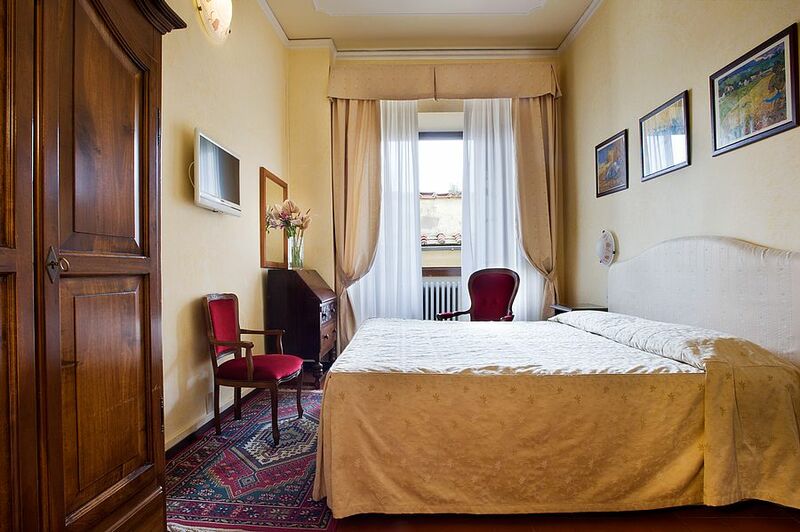 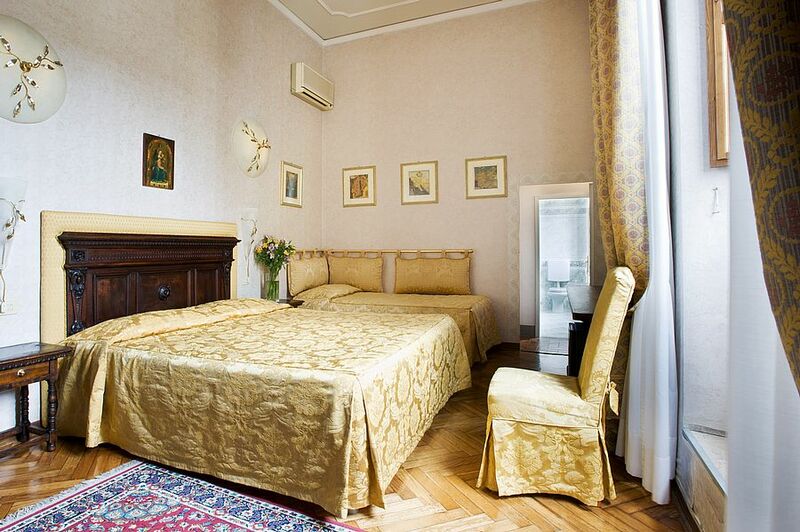 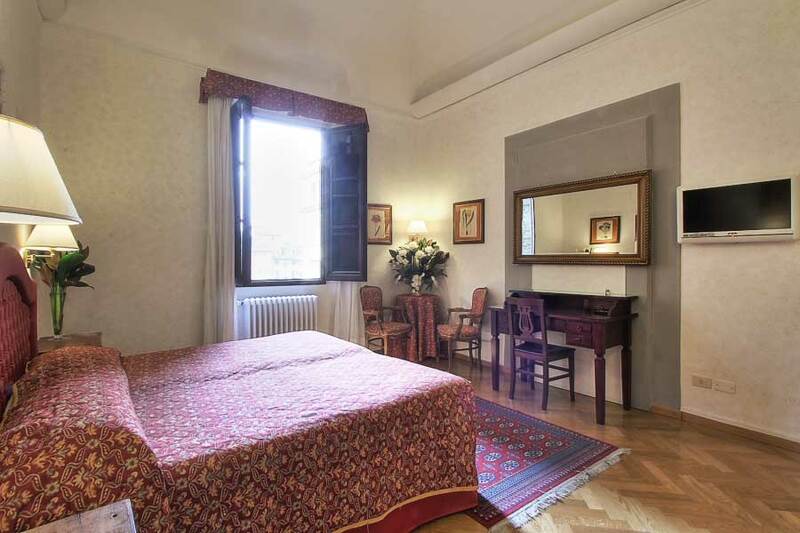 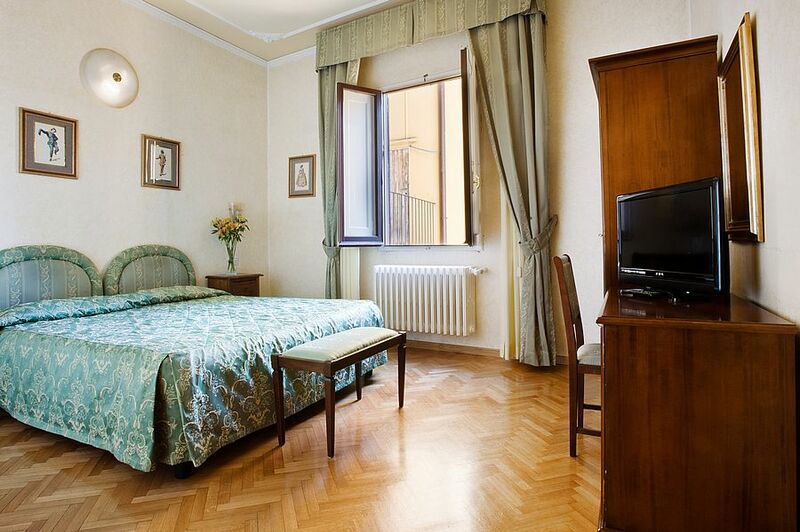 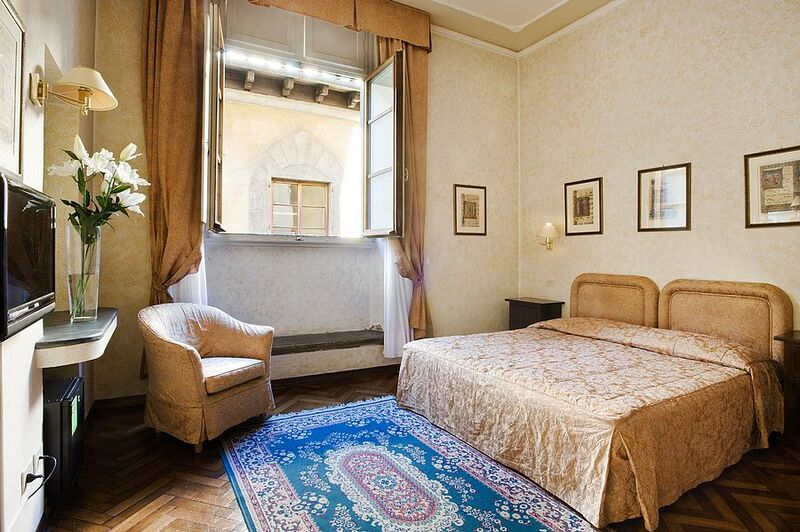 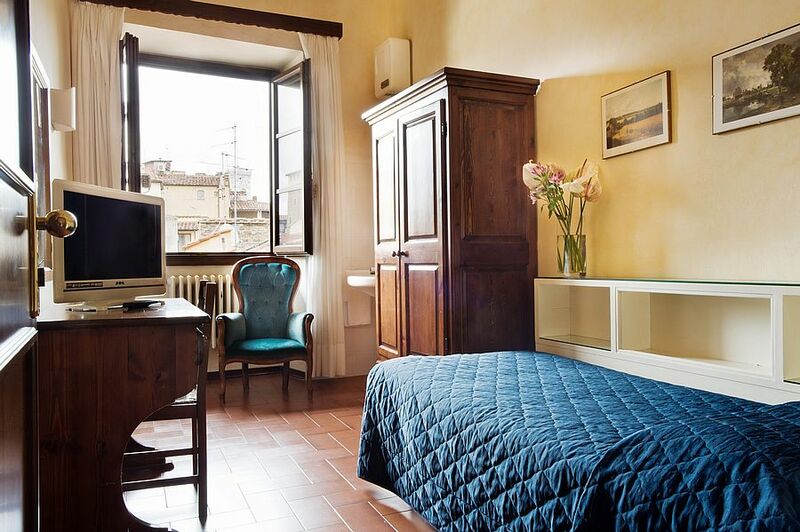 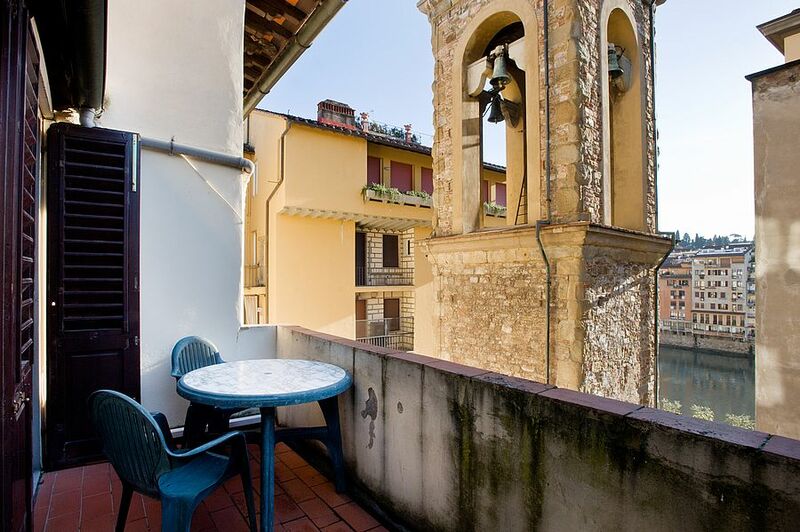 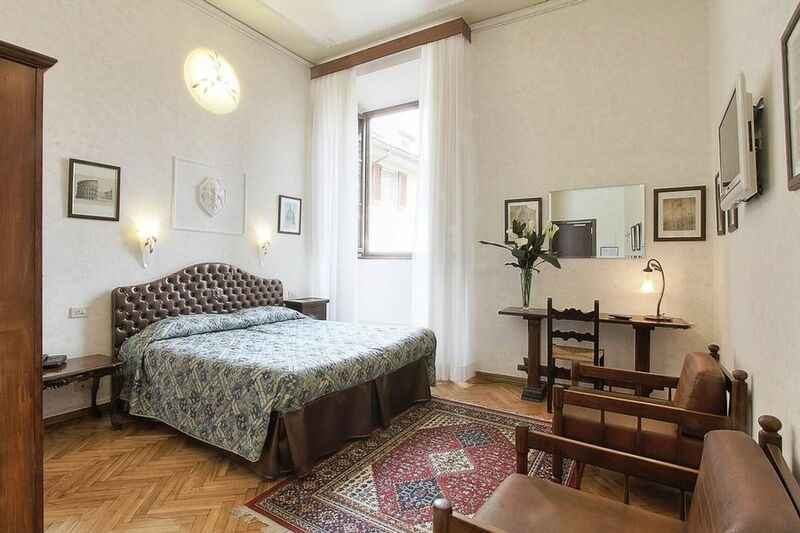 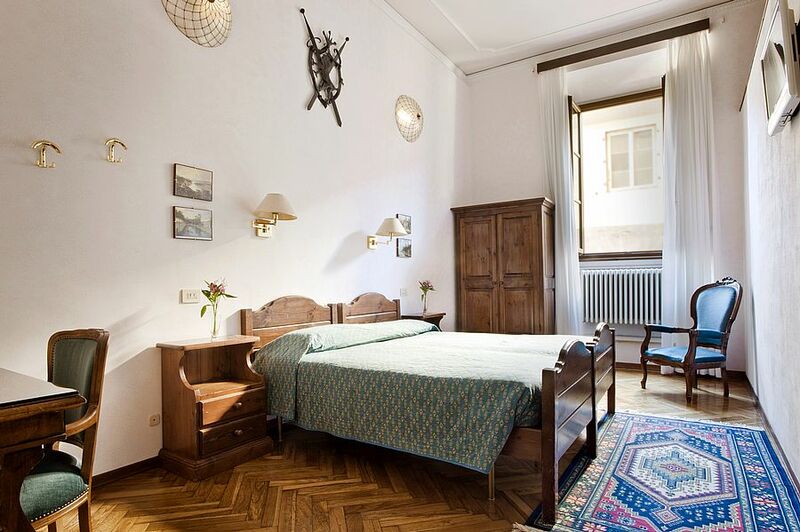 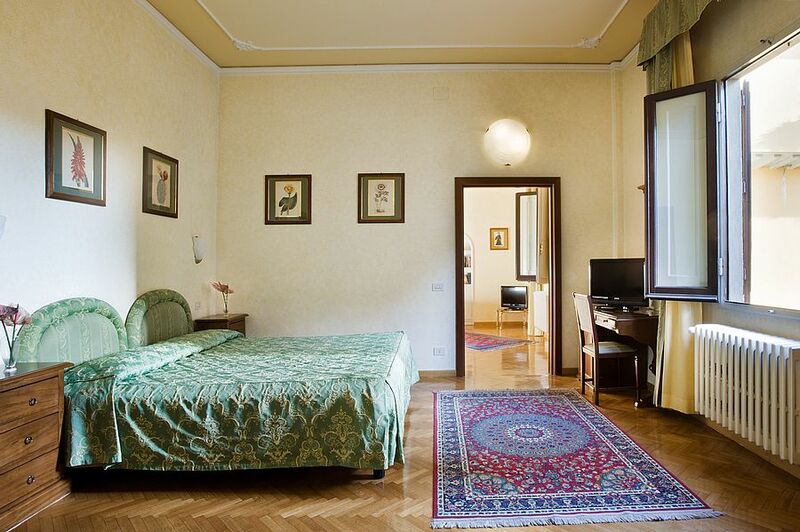 Comfortable and spacious rooms with breath-taking views of the Arno river. 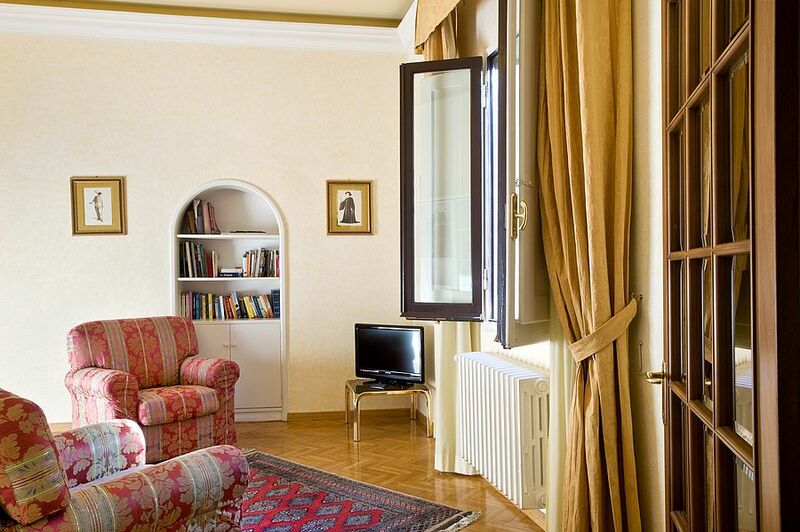 A 60 mq apartment providing a living room with a minibar, bedroom, bathroom, study and a private terrace which can comfortably accommodate 4 guests. 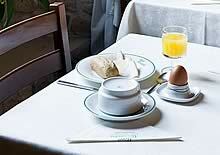 Breakfast service is available on the private terrace upon request.